What are the Best VPNs for Unblocking YouTube? Some geolocations restrict access to YouTube, which is precisely why you need a VPN to access all the streaming content you want. These are the best VPNs for unblocking YouTube. YouTube gets blocked by a lot of countries for a lot of reasons, including government censorship and explicit content. As a result, VPN services have had to work extra hard to overcome the various restrictions put on viewers because of copyright laws, ethical standards, and even national security. If you're an average person looking for some good content though, these restrictions are just bothersome, which is why VPNs for YouTube are such a relief. You can easily access and stream all of the content that's available on YouTube without any geo-restrictions or IP address limitations. The VPN effectively cloaks your IP address, so YouTube doesn't know where you're streaming from. This way, no restrictions are placed on your viewing enjoyment. ExpressVPN is the unchallenged champion of virtual private networks. It has fast speeds, good encryption, and more than 2,000 servers spread over 94 countries. What’s more, ExpressVPN works with all sorts of operating systems, including iOS, Android, Linux, MacOS, and Windows so that you can connect any type of device you’d like. When you sign up for an ExpressVPN membership, you also get the reassurance that comes with years in the business, a solid reputation for customer satisfaction, and 24/7 live chat support that's available to help you troubleshoot any issues. That's a lot to get in a single package. NordVPN has some impressive stats when it comes to technology. For example, it supports IKEv2 for manual configuration and generates Phase 1 keys for AES-256-GCM encryption for stronger security. What this translates to is higher security and more privacy for its members. NordVPN is also extremely pleasant to run. It has a smooth interface that makes navigating the app simple, and the settings are self-explanatory. You can also get a Firefox plug in, so your internet activity is secure, while everything else is left alone. It makes file transfers and other actions faster and easier. On top of it all, NordVPN has competitive pricing, and you can try out the service for 30 days with a complete money back guarantee. CyberGhost is a torrent-friendly VPN service with above average speeds and servers spread across dozens of countries. Additionally, members will get some attractive features such as an ad blocker, malware detection, and trackers along with its own variety of kill switch known as App Protection. CyberGhost also has fast customer support, a big plus when trying to get your streaming sites to work. The typical CyberGhost subscription is a little pricey at $12 per month, but it becomes significantly more reasonable once you sign up for longer-term plans. For example, the 3-year service is only $2.75 per month, much more reasonable and a competitive rate for the market. Hotspot Shield is an impressive VPN that many people use for unblocking YouTube. You’ll get access to more than 2,000 servers worldwide, enough to satisfy even the most persnickety IP address snoops. You can get proxy extensions for use directly on Chrome or Firefox, and Hotspot Shield is usable on any Android, iOS, Windows, or MacOS devices. What’s more, the service is fast, super fast. This is mainly due to its proprietary Hydra Protocol, a service that uses TLS and OpenSSL for faster, more secure connections. Hotspot Shield is also extremely user-friendly. There are no complicated menus to deal with, and the user interface is clean and uncluttered. You just click on and off when you want to turn your VPN on/off. Switch locations via a drop-down menu and see how long you've been running your VPN with the on-screen counter. PureVPN blows the competition clear out of the water when it comes to speed. If you want super fast connections and streaming, it’s PureVPN hands down. It has won the PCMag.com Editor’s Choice award for fastest VPN site 2 years in a row for consistently scoring high on speed tests; you can’t argue with numbers like that. In addition to speed, PureVPN offers viewers a range of servers. PureVPN has close to 800 servers worldwide, so you are still getting plenty of options. Furthermore, this service has a wider reach with servers covering close to 150 different countries. All of this comes for a low monthly fee (that’s even lower if you sign up for long-term plans). Get a subscription to a VPN service that works on YouTube and activate your account before leaving home. This includes setting up an account, downloading, and installing the software. Open your VPN and choose a server in the right location for streaming (the US is a good choice for YouTube streaming). 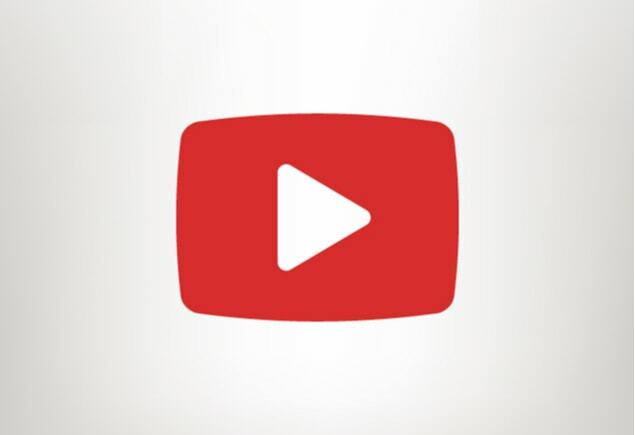 Search and find the video you'd like to stream through YouTube's search bar. If the content doesn’t stream, choose a different server until you find one that works. That’s it. You’ll never have to see that annoying censorship screen again! If you are living in or visiting one of these countries, you’ll be happy to learn that the VPN providers listed above work to unblock YouTube in all of these locations. It's time for governments to stop censoring your content. Take control of your own viewing rights with a smart YouTube VPN, and never be geo-blocked again.